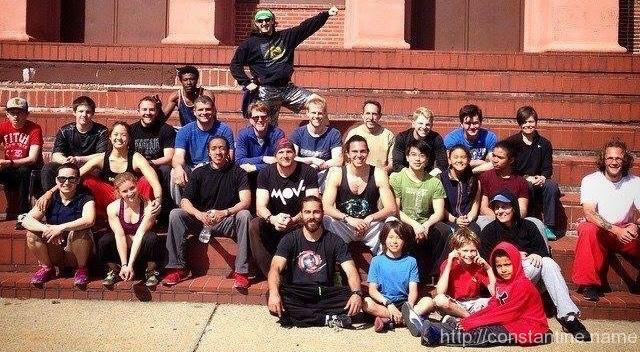 Group photo from the end of the “Gauntlet” event in Somerville. I think my biggest accomplishment was the “didn’t hurt myself.” I certainly did a lot of physical things that were impressive (for me, and my ability.) But just being able to continue to ‘dig deep’ for hours on end — that was great. As usual, I want to avoid name-dropping. But we did this one neat turn-vault landing on one foot and continuing on to step down and off the wall… that was something very different! Also, one of the first times I’ve EVER just “done” something and actually felt like I was really moving simply.